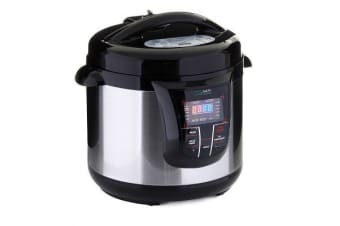 The New Wave 5-in-1 Multicooker is a pressure cooker, slow cooker, electric pot, soup and steamer/rice cooker, all in one! Are you sick of having too many kitchen appliances that only serve one purpose? 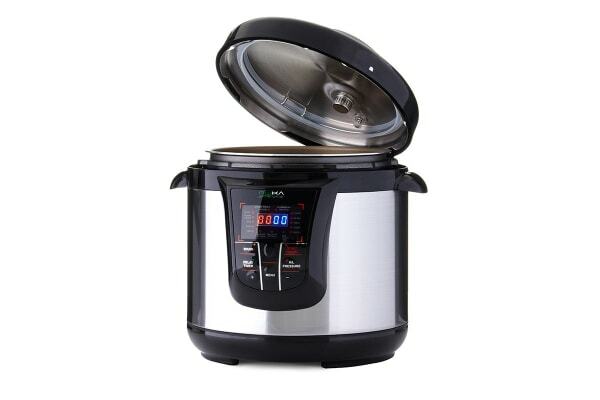 Save space and time in your kitchen with the New Wave 5-in-1 Multicooker! This Multicooker serves the purpose of 5 appliances in 1. Whether you’re cooking fast or slow, creating healthy and delicious meals at home has never been easier. So if you are under pressure to get dinner on the table in 15 minutes or you love slow cooking your favourite dish for hours, the choice is yours!